Red Line loans out four random 5000-Series cars to the Yellow Line. Photos copyright © Chicago-l.org. Off-site Photos copyrighted to their respective owners. 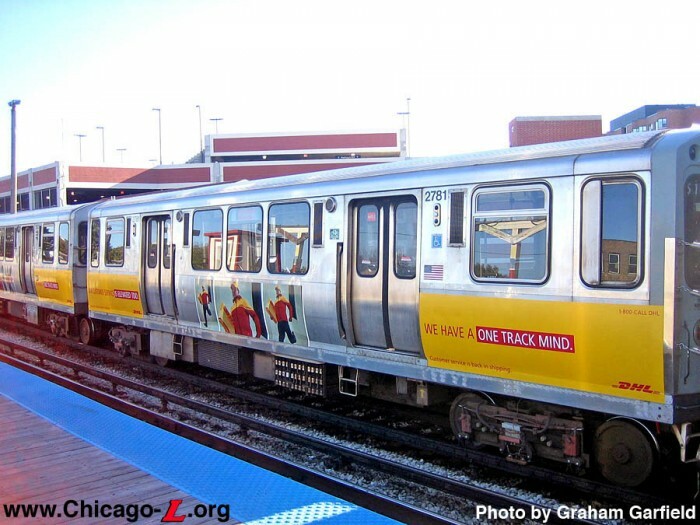 Yellow Line receives random 5000-Series from the Red Line. Note: The Red line, Yellow line and Purple line has been borrowing cars off each other, so it's not unusual to see those cars assigned between those 3 lines. 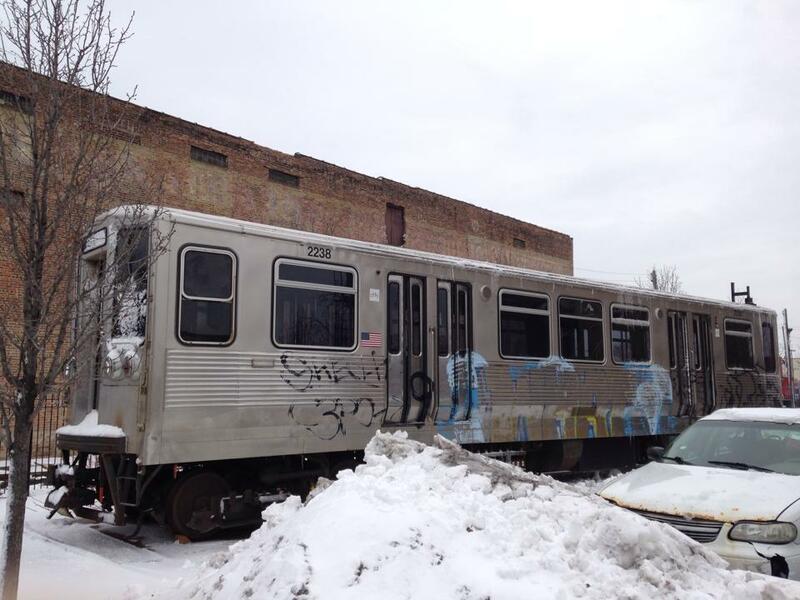 #2455-56, #2489-90, #2537-38, #2541-44; #2541 has been sold though so #2542 is a lone car. Why are there some 2400's on the Red and some 2600's on the Purple ? The 2400s are 35 years old and are approaching their retirement. The assignment of additional 2600s to the Purple Line gives that line a sufficient number of that series cars to cover base service on that line. Plus, on the Red Line the 2400s will likely be relegated to "belly car" service, meaning that the 2400s will be restricted to a middle pair (with 2600s at each end) in Red Line service. 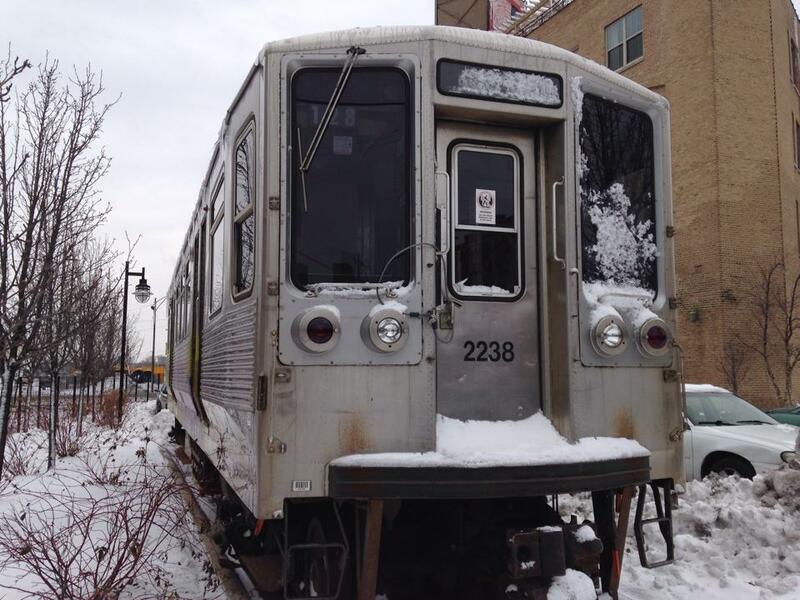 It is very common to see 2400s on the end of Red Line trains. I don't know how big a deal this is, in that they ran mixed on the Red Line until the rehabs of the 2600s, and there never were enough 2400s for the Purple. Also, I don't know why people are attempting to post rosters when they will change next week, due to arrival and shifting of 5000s. "Likely" is the key word. "Likely" does not mean "certainly". The 2400's are being transferred to the Red Line because of the arrival of the 5000's coming in to replace them and because they are approaching their retirement. 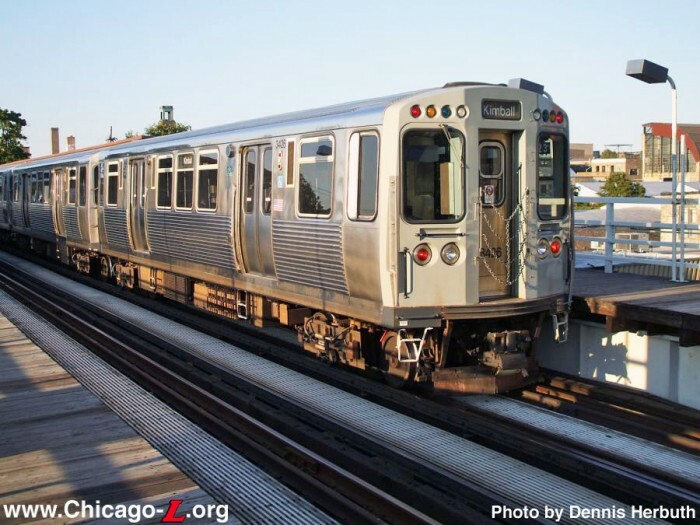 I read an article saying the 2400's will finish their remaining service on the Red Line. They will probably be phased out next year once the Dan Ryan branch is completed and there are enough 5000's to to cover the Red Line which my guess is going to be in the fall of 2013. But of course we'll see as time goes by. I think myself the reason the Red line is going with more #2400's is because some of those lower #2600's are in need of some maintenance. Some of them are really dirty and the AC doesn't work. There always in service and never get the attention they need. These #2500's are just the opposite. They do alot of sitting at the yard and are better maintained. I haven't come across a hot #2500 in a while. 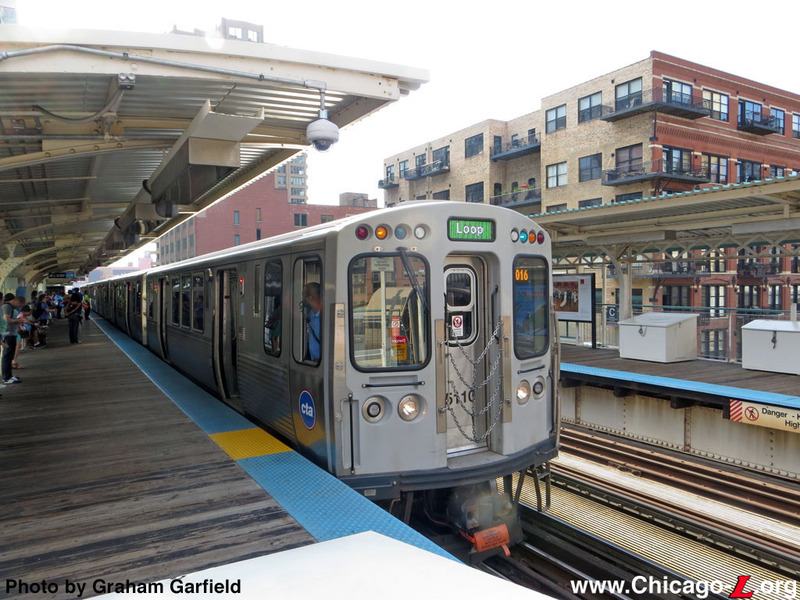 The same thing can be said about the green line, with just 94 cars that's less to maintain, so they stay in good condition. BTW, the #2200's and #2579-80 are now gone from Howard yard. I guess that's the last we'll see of them. Maybe some of the lower 2600s do need maintenance, but they sure won't get them on the Blue Line, which is where some of them wound up. If it were maintenance was the primary purpose, then an even swap with the the Green Line or even the Purple Line would've accomplished that. Instead, I think it is just to get the Blue Line to all 2600s. The 2400s can interline with Red and Purple. Unless the 2400s themselves are in very bad shape, why can't the Purple be all 2400s and the Purple's 2600s move to the Blue? If needed, the Purple can get 2600s from the Red. Just a thought. I know it is only July, but I would not be surprised if this year's Holiday Train winds up being a 5000 series train, unless Santa's car isn't compatable. Krambles's book made a big deal about how the flatcars had to be converted so that they could run with 6000s instead of 4000s. But, then I suppose that they had to be converted again to run with the work 2400s, which raises the question whether something else would have to be converted to work equipment if those 2400s are retired, but I suppose it would be 2600s. So, unless they are willing to modify the electric couplers to conform to the 5000s, probably not. Blue line maintenance is better than the Red line's in my opinion because again more cars are in service on the Red. Alot of times the Red line runs with 8 car trains where the blue line runs with 4 on the weekend sometimes (when there's not a downtown event scheduled.) But after what I saw last week with the heat and all, the #2200's need to depart first. About 3/4 of the #2200's series trains were hot with people fanning themselves on a 100 degree car and I spotted several cars with the hopper windows open. There is a few that have good AC like #2313 but the #2400's seemed to be in much better condition. 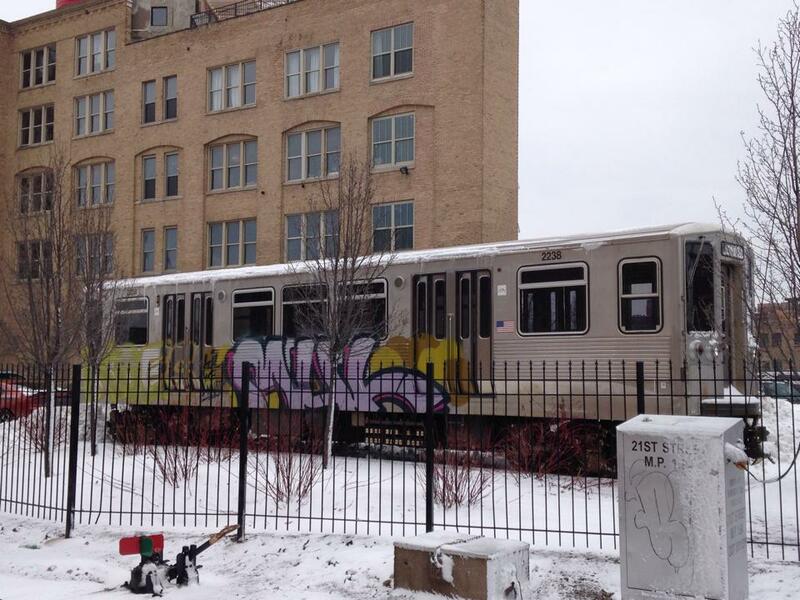 Now the purple line #2600's seem to be in good condition too. I think ultimately, those cars are going to end up on the blue line when all the transferring stops. BTW, blue line got a few more cars last week I have yet to update. They are #2937-38 and #2945-46. I kinda wonder if they are going to convert the 3200's to be like the new 5000's, and how if so. I really like the set up for the 5000s. I wish they would convert the 3200s into the these new cars. Im hoping some 3200s can make their way to the Blue Line. I pretty much wish as well that they would convert the 3200's into the new cars. I remember Alstom converted the 2600's to be like the 3200's for one-man operation. You must have missed the article where Hilkevitch exposed a proposed no bid deal with Bombardier to do exactly that. artthouwill and I discussed that before.